Driven by our extensive background in designing and sense of craftsmanship, we are able to offer beautiful, custom millwork for the entire home. We are firmly grounded in our philosophy that a space should be delineated only by form, function and the utility of living. To provide truly authentic designs for our clients, we do not adapt a prefabricated system to work for the space. So, with meticulous attention to detail, superior craftsmanship, hand-selected materials and the use of furniture-quality joinery, we design and build each piece to perfectly suit the lifestyle and aesthetics of each client. Custom design. building , architectural millwork , and cabinetry. J. DiChiara & Sons, Inc. was founded in 1971 by Joseph and Jacqueline DiChiara. Joe and Jackie’s son, Mike now runs the business. Mike has over 35 years of service experience with J. DiChiara & Sons, Inc. Depend on us to design the perfect cabinetry for your next kitchen rehab project. We assure you a pleasant experience during every step of the process. We remain committed to a strong line of communication, which is the key to a successful relationship and a happy customer. Count on our expert craftsmen to be respectful, clean and courteous to you. Based in Danvers, MA and serving the North Shore, Chet Dembowski and Son have been in business since 1985. My son and I are both licensed and insured and take pride in only completing one job at a time. We can provide a drawing service if needed and references. 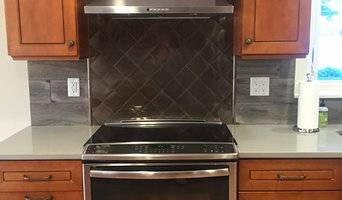 We offer used and improved cabinetry to save you money and time! Some delivery options are available based on location. Ask for details! Who We Are: If we don't have it, we'll find it! We started in 2015 selling cabinets from a garage and basement. We then expanded to a two car garage. We now occupy a close to 2000 square foot, office/showroom and warehouse. The owner spent 5.5 years as an information and resource specialist, so it comes naturally to find what customers need and want. If we don't have it and or can't get it, we'll refer you to where you can. Cabinetry showroom with over 30 years of experience in the industry. Oceanside Cabinets is an authorized dealer of Starmark Cabinetry, and offers different brands for virtually all tastes and budgets. Oceanside Cabinets has positioned itself in the market as a retailer that is easy to do business with. We keep our purchase and transaction policies simple and clear. We offer many different cabinets brands from bargain stock lines to full custom brands. This approach also applies to counter surfaces, and many other products that are offered at Oceanside Cabinets. We will consult with you in a no-nonsense, factual manner, and allow you to make intelligent purchases based on information that is important to you. Welcome to Salem Architectural Woodworking, LLC, an architectural millwork and custom cabinetry company with more than 35 years experience. We specialize in producing high-quality cabinetry for your contemporary new home construction or character-driven historic renovation. At Salem Architectural Woodworking, LLC, we put each of our years of expertise to work for our clients. Whether it is for a couple who have purchased their first home, or for a commercial or institutional organization, we are dedicated to providing both superior custom millwork and cabinetry and timely and professional service. We invite you to browse our pages and contact us if you have any questions. Thank you for visiting our site! 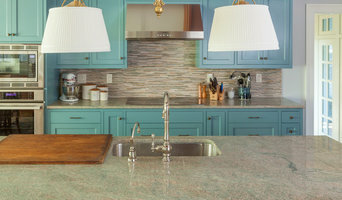 Blair Cabinet Associates specializes in sales and design of residential and commercial kitchen and bathrooms in the Southern New Hampshire and Northern Massachusetts area. Blair takes pride in its ability to provide aggressive competitive pricing, quality product, and customer focused services. With over 40 years of experience in home building, remodeling and custom kitchen cabinetry, our comprehensive knowledge of the industry assures our clients the highest quality of service from start to finish, providing extensive experience in all aspects of custom cabinetry. 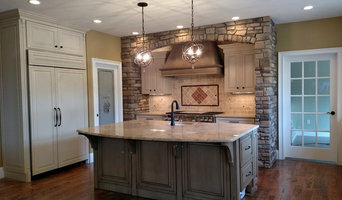 Years of experience in the kitchen cabinetry industry has led to craftsmanship beyond the focal point of the home, to include, but not limited to, bathroom cabinetry, custom designed master bath suites, custom designs in media rooms, great rooms and other personalized spaces throughout your home. Devoted to creating the finest custom furniture style cabinetry that enhances your unique style, preferences and functional needs for every room in your home. Our designs will ensure the functional and inviting atmosphere you are striving to achieve, providing you with a unique and distinct customized kitchen and more. Superior cabinetry design, cabinetry selection (custom and semi- custom cabinetry lines), on site fabrication and installation, along with our ongoing commitment to quality and personalized service, we are certain you will become another delighted, lifelong client. DL Cabinetry features cabinet styles that have enduring appeal. Our timeless profiles and color selections never chase the latest fads; our goal is to produce a look that will last as long as our cabinets. We don’t believe that anything that’s “just as good as” ever really is. That’s why all our cabinets are made with 1/2″ plywood and 3/4″ thick solid hardwood. DL Cabinetry uses heavy duty hardware, including concealed “Euro” style hinges with a soft-close option, and heavy-duty drawer slides with an optional self-closing feature. At every step, we look for methods that allow the lowest cost possible without sacrificing quality. From our material selection, which includes North American cherry, alder and maple, to our manufacturing process, shipping and storage system, we strive to eliminate waste and reduce energy cost in every way available. 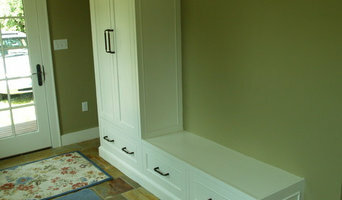 Your place for custom cabinets & furniture in Massachusetts. Our attention to details & our passion for perfection will exceed your expectations. Needham Woodworking offers Free consultation in the comfort of your home or business. This allows us to better assist you in choosing a design and style that will fit well with your current decor. You are under no obligation and are not required to pay any fees during the design process. Kevin Cradock grew up in the Jamaica Plain section of Boston, Massachusetts surrounded by classic architecture that instilled in him a love of the art of carpentry and an appreciation for skilled craftsmanship. Beginning his career as a finish carpenter renovating classic Boston homes, Kevin gradually moved toward creating distinctive custom cabinetry for his building and renovation projects. By the mid-1990’s he established his own workshop and in collaboration with local designers, he devoted himself to crafting the finest custom millwork, cabinetry and furniture available. Today Kevin oversees a large crew of managers, carpenters and woodworkers. He works closely with architects, designers and homeowners, renovating homes and crafting cabinetry, furniture, and millwork to meet each customer’s taste and lifestyle.